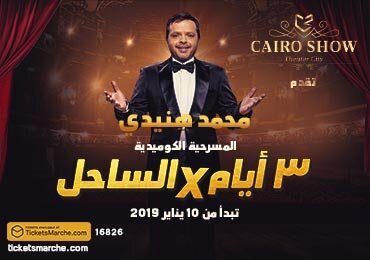 Cairo Show, the first Egyptian entity presenting entertainment and theatrical performances in Egypt. It presents “3 days in Sahel” starring the one and only Mohamed Henedy with rising stars directed by Magdy El Hawary. 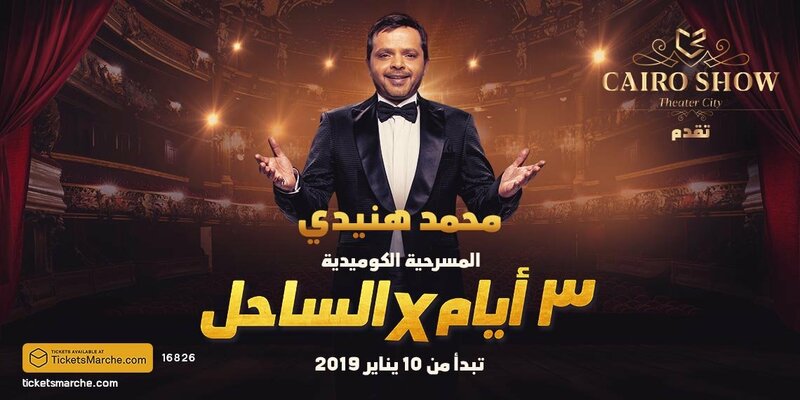 Enjoy 3 hours of nonstop laughter with Asfour Abo Dera3’s cult.